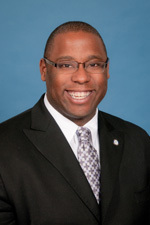 “Degree of Interest” guest columnist Tito Jackson is a Boston City Council member who chairs the council’s committee on education and serves on a number of other committees and boards. Andre Perry returns to “Degree of Interest,” next week. In 1635, Boston served as a model settlement town across the New England Colonies. Boston Latin School opened its doors and became the first public school in what would become the United States. While the school exclusively served the sons of the white elite, the principle that a local community would invest its resources to educate its own children, as a common good, became the bedrock of public education in America. Judge W. Arthur Garrity sided with the plaintiffs and mandated that Boston integrate its schools. In 1985, he further ordered the district to increase the percentages of teachers and staff of color to reflect the student population or 25% black and 10% “other minority” (i.e. Latino and Asian). In 2014, while 87 percent of students are of color in our district – 21 percent of all teachers are black; 10 percent Latino; 6 percent Asian; and 62 percent white. Although the current percentage of teachers of color is technically close to the 1985 court ordered mandate, the intent of the law has been subverted. The makeup of the student body has substantially changed in the past 40 years but the teaching population does not reflect the student population. As a result of the continued inability to reach even the 25 percent court ordered guideline, I, in my position as the chairman of the Boston City Council Education Committee, called a hearing to discuss recruiting and retaining educators of color in Boston Public Schools. During the hearing, Dr. Travis Bristol, who is currently a research and policy fellow at the Stanford Center for Opportunity Policy in Education, shared some findings from his study on black male teachers in Boston Public Schools. In the 2012-2013 school year, Dr. Bristol found that black male teachers were less likely to teach in a school with a white principal and white teachers of all genders were less likely to teach in the district’s most underperforming schools. Also presenting during this hearing were senior administrators in the district’s office, local teacher preparation organizations, the Boston NAACP Chapter, the Black Educators of Color Alliance in Massachusetts, Massachusetts Advocates for Children, the Lawyers’ Committee on Civil Rights, the Boston Teachers Union, the Boston Higher Education Resource Center, and the Massachusetts Asian American Educators Association. While each presenter talked about the district’s challenge in meeting the goal set out in the Garrity Decision – much of our conversation and charge to the district centered on the importance of diversity. RELATED: Are schools more segregated than in the 50s? What does the data say? Salena Tan, a member teacher of the Massachusetts Asian American Educators Association, affirmed the importance of hiring and retaining teachers of color. She noted that students learn by connecting prior knowledge to new content. To improve academic achievement of students from culturally and linguistically diverse backgrounds, educators must be able to understand the cultural code to understand the student’s learning environment. Teachers who do not share similar backgrounds to their students are less likely to serve as role models and less responsive because they struggle to share the same hopes, dreams, challenges and expectations. As a legislator, I know that organizations are best equipped to solve challenging dilemmas when there are a diverse group of problem solvers at the table. And, a diverse group of highly skilled employees are not only adept at solving problems – they also drive innovation. This is the message that all parties left the City Council’s chamber with. In this interconnected world all children, and particularly those who stand at the margins, need a diverse teaching force if they are going to be able to be competitive globally. I’m glad to report that a seemingly contentious hearing yielded a true partnership between Boston Public Schools, local community members, researchers, and myself and colleague City Councilor Ayanna Pressley to create and implement an accountability structure that ensures we recruit, support, and, most importantly, retain highly qualified teachers of color. Before leaving the Council’s chamber, Superintendent John McDonough and I agreed that a working group would be the next step in this collaborative effort. As the Chair of the Education Committee, I will create a working group in which community organizations, city government, and BPS will come together to work towards improving diversity in BPS’ teaching force and staff, ultimately, improving the future of our children’s lives. As urban school districts across these United States look for strategies and solutions for getting and keeping teachers of color – they will be able to turn to Boston Public Schools. Our nation’s first public school system, Boston Public Schools, is uniquely positioned to lead once again. Andre Perry will return to “Degree of Interest,” next week.